Supported by a local Friends chapter, New Echota is one of the most significant Cherokee Indian sites in the nation and was where the tragic “Trail of Tears” officially began. In 1825, the Cherokee national legislature established a capital called New Echota at the headwaters of the Oostanaula River. During its short history, New Echota was the site of the first Indian language newspaper office, a court case which carried to the U.S. Supreme Court, one of the earliest experiments in national self government by an Indian tribe, the signing of a treaty which relinquished Cherokee claims to lands east of the Mississippi River, and the assembly of Indians for removal west on the infamous Trail of Tears. Today, visitors can see 12 original and reconstructed buildings, including the Council House, Court House, Print Shop, Missionary Samuel Worcester's home, and an 1805 store, as well as outbuildings such as smoke houses, corn cribs and barns. In the visitor center, guest can purchase souvenirs, books, music, plus view interpretive exhibits and a 17-minute film. Nature trails leads visitors to New Town Creek and a small beaver pond. 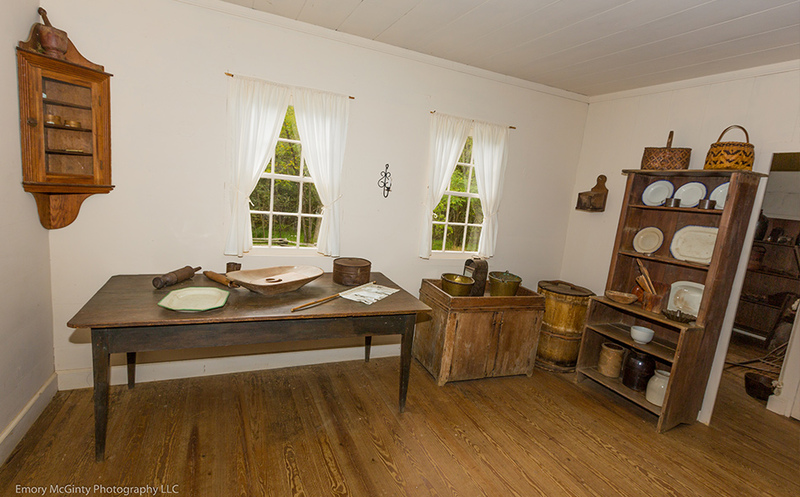 For a full listing of events and information about New Echota Historic Site Historic Park visit the Georgia State Parks page.